Mary Burkey is a middle school teacher-librarian, audiobook addict, and author of Book Links Magazine's audiobook column "Voices in My Head." 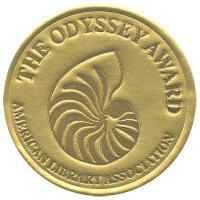 Get ready to promote the Odyssey Award for Excellence in Audiobook Production with FREE audiobook downloads from SYNC! 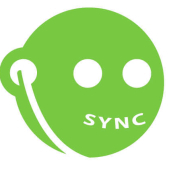 Sync’ is an initiative to encourage audiobook listening by teens, coordinated through the unbranded Audiobook Community, and supported by members of the audiobook publishing community. Each week, two totally FREE audiobooks â€“ one classic paired with a themed YA favorite – are available without any need for personal information on the Sync website. Today is the last day to grab The Angel Experiment by James Patterson (read by Evan Rachel Wood) paired with Frankenstein by Mary Shelley (read by Simon Vance) in the kick-off â€œMan or Monster?â€ theme week. All that’s needed is the free OverDrive download software â€“ a great way to encourage teens to start using your public library’s downloadable media. Plus, there’s an entire tool kit on the Sync website to help promote titles in YA departments and on library webpages. Although the promotion is targeted towards teens, there are no age restrictions â€“ so feel free to encourage anyone to grab a great title for summertime listening. If you’ve never listened to an audiobook, take this opportunity to download marvelous productions for your own listening! Celebrate the spoken word at the 2010 Odyssey Award Presentation, featuring the 2010 Odyssey winner, Louise, the Adventures of a Chicken, written by Kate DiCamillo, narrated by Barbara Rosenblat, and produced by Live Oak Media.’ Three honor titles will also be recognized for their excellence in audiobook production for children and young adults.’ ‘ A reception sponsored by the Audio Publishers Association with light refreshments will follow the award presentations and program featuring narrators Dion Graham, Katherine Kellgren, and Barbara Rosenblat. 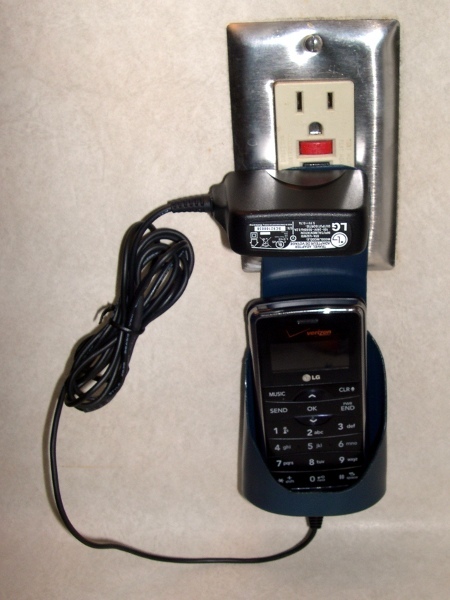 Psyched about Sync: Free Audiobooks! What great selections – Odyssey Award Honor titles, movie tie-ins, summer reading list stand-bys, and the first book in so many great series.’ Happy listening! You’ll get notification of Sync’s kick-off when you become a member of the Audiobook Community http://www.audiobookcommunity.com/, a free, open, uncensored, unbranded social network for all audiobook listeners to discover audiobooks and connect with other fans as well as publishers, authors, and narrators. Just join the Sync: YA Listening group and get updates about the free downloads, as well as tips from other audiobook fans. Here’s a great response to a group member’s question, â€œHow are you using audiobooks in your summer reading program?â€ ‘ Melissa replied, â€œAt the beginning of summer, I also create a display of audiobooks based on listening length versus driving length. So one section of the display is “If you are going to Boston or Bar Harbor this summer, here are titles for the round-trip” with audios that are in the 4 – 6 hour range. 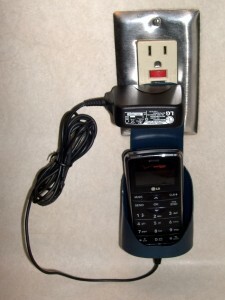 “If you are going to New York City”, we display audios with an 8 – 10 hour range, and so forth. This display has been a big hit with parents in the past.â€ What a great idea! Win $1,000 for your great teen lit programming! By Mary Burkey November 10, 2009 October 26, 2011 Teen Services, YALSA Info. Please help YALSA’s MAE Award committee help publicize our monetary award by spreading the word. If you know of someone who you feel would qualify, encourage them to apply AND become a YALSA member. Every bit helps in these tough economic times! Here’s your chance to win $500 for your pocket and another $500 for your library!’ YALSA members are eligible to apply for this award recognizing an outstanding reading or literature program for young adults.’ If you have created an exceptional reading or literature program in the 12 months before December 1st consider applying for the MAE Award for Best Literature Program for Teens.’ The MAE Award is sponsored by the Margaret A. Edwards Trust.’ The winner receives $500 and additional $500 for their library. Application forms can be downloaded at http://www.ala.org/yalsa/awards&grants and must be emailed to Nichole Gilbert at ngilbert@ala.org by December 1. Not a member of YALSA?’ It’s not too late to join.’ ‘ Please note that it may take up to 2 months for new memberships to be fully processed.’ New members should send an electronic copy of their membership application with the grant application. For questions, contact Alexandra Tyle-Annen at atyle@homerlibrary.org. Reward yourself for bringing young adults and books together and encouraging the development of life-long reading habits.’ Apply today! 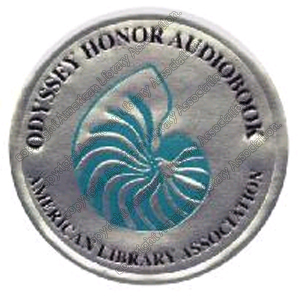 The Odyssey Award Ceremony at ALA last July honored the marvelous producers of the year’s best audiobooks for children & young adults. Those in attendance were thrilled to hear narrators talk about their experiences recording the top titles of the year. You can listen to the speech narrator Katherine Kellgren’ gave after Listen & Live Audio was awarded their second Odyssey Honor’ for the production of Curse of the Blue’ Tattoo. Here’s the link to find out more about Katy and the Odyssey. By Mary Burkey January 20, 2009 February 14, 2009 YALSA Info. Now here’s a fortuitous alignment of the stars! Teen Tech Week 2009 just happens to be the exact same week as Read an E-Book Week! What a great time to promote your library’s downloadable FREE e-books or do a demo for teachers in your local high school. Or even enlist your Teen Advisory Board to staff a learn-how-to-download-e-books station to help newbie users. Have you explored the amazing variety of e-Books avalible through your library lately? Today’s Columbus (OH) Dispatch newspaper has a great feature story on video gaming in the library, mentioning the Columbus Metropolitan Library, Upper Arlington Library, Westerville Public Library. A big congratulations shout-out to Julie Scordato, Kate Hastings, and Gordon Gavin for being quoted in the article !